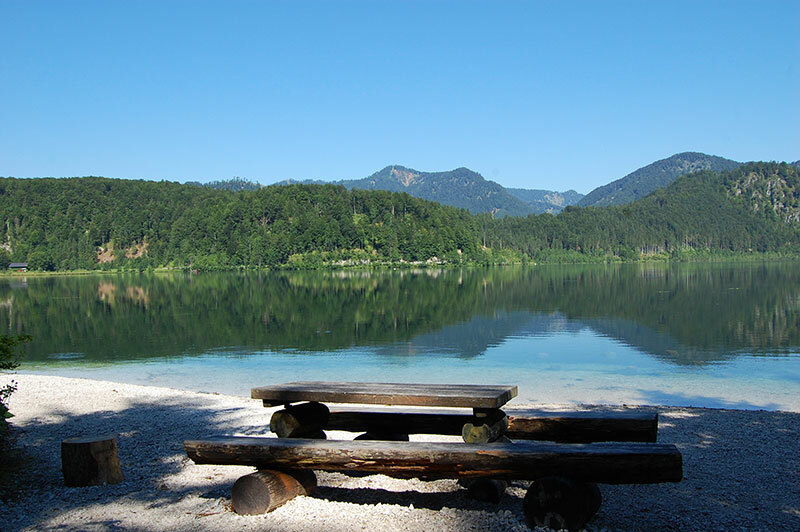 Lake Almsee and Almtal could not be more picture perfect. 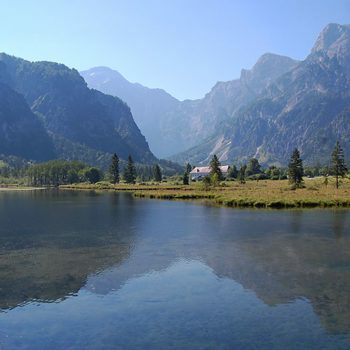 With the Alps as a backdrop the gorgeous lake is perfect for nature excursions for families, hikers and bikers. Almtal is a real gem. Not a big secret, but still not discovered by everyone. My guess it is because there are not any massive ski resorts or other mass tourism facilities in place. However, this does not mean that the area is lacking attractions. 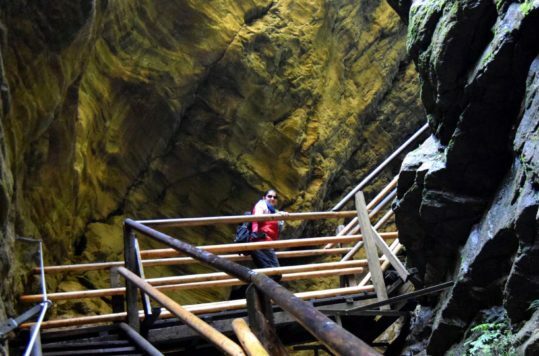 In contrary, I found plenty of activities to keep me busy for my day trip, and discovering more during the visit. 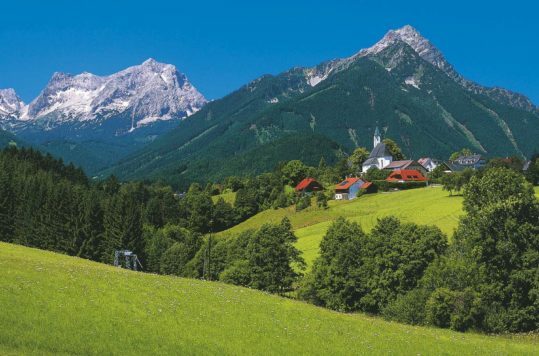 Almtal is definitely the place for nature lovers. 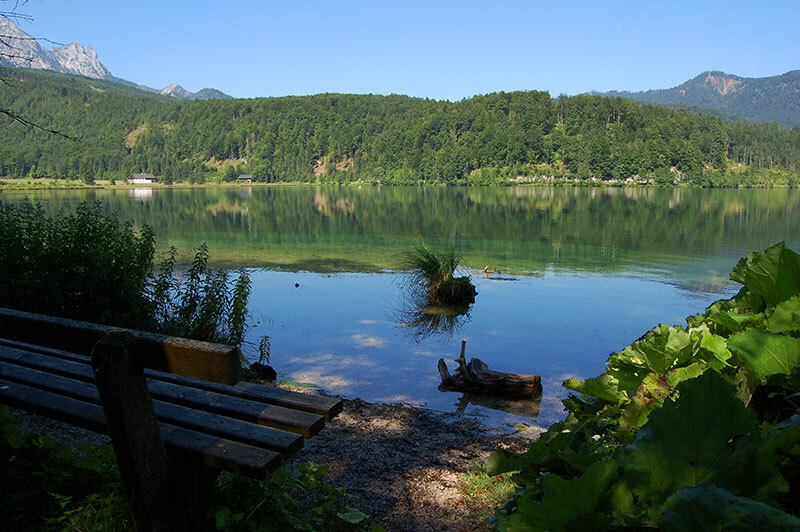 The valley is a cul-de-sac so traffic beyond Grünau is limited to those who travel all the way up to the lake, Almsee. Driving into the valley and up to the lake, a warm summer day with the sun shining from a clear blue sky, gave me a hint of the spectacular scenery that was awaiting me. 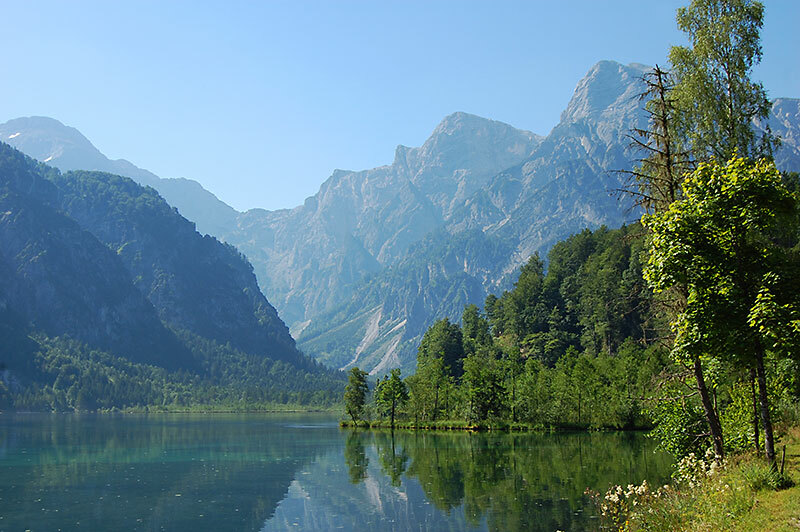 The lake, as smooth as a millpond, mirroring the mountains, which were towering up above the greenery, gave me gooseflesh. What a spactacular scenery! Arriving at the large parking area at the end of the road there were not too many visitors. Despite being a Saturday in July. Ensured that the tranquillity would reign, I picked up my small backpack and headed for the lake along the signposted trail. A well-laid out trail encircles the lake and is fine even with strollers. Thus, bringing small children is not a problem. 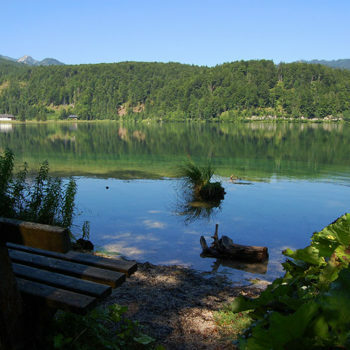 The full round the lake walk is about 6 km and takes about 1-2 hours at a leisurely pace. 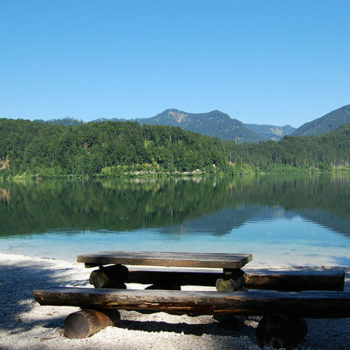 All along the gravel trail, there are plenty viewpoints with benches and a few picnic tables. Along the east side of the lake, there are some coarse sand and gravel beaches that slope gently into the lake. Bring your sun-chairs, set up camp and enjoy a bath. 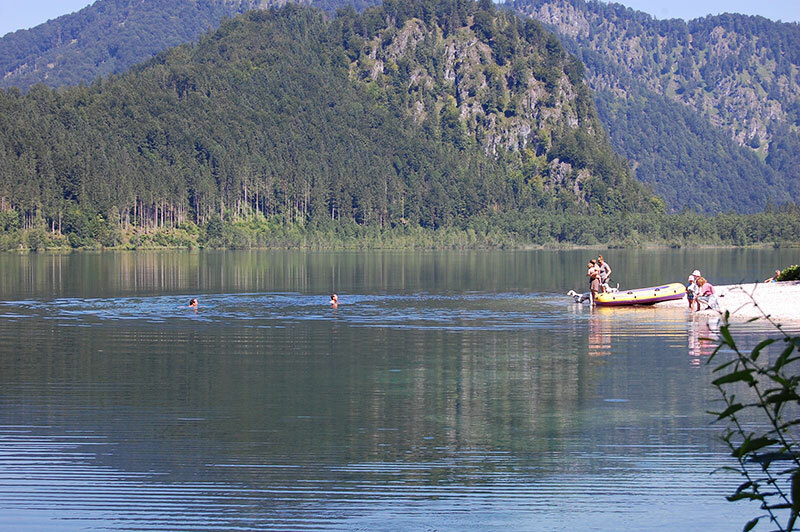 Notwithstanding, be warned before you jump into the Almsee. 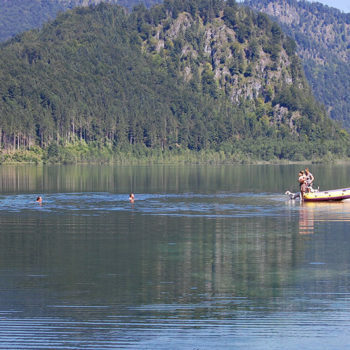 The crystal clear water seldom ventures above 15-16 °C even in the height of summer. 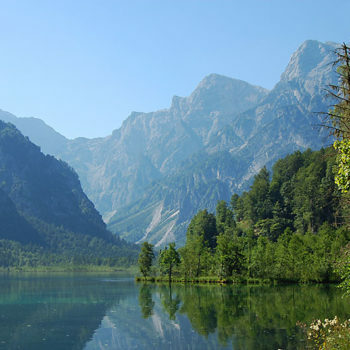 The maximum 5 metres deep lake is fed by cold-water streams from the mountains. 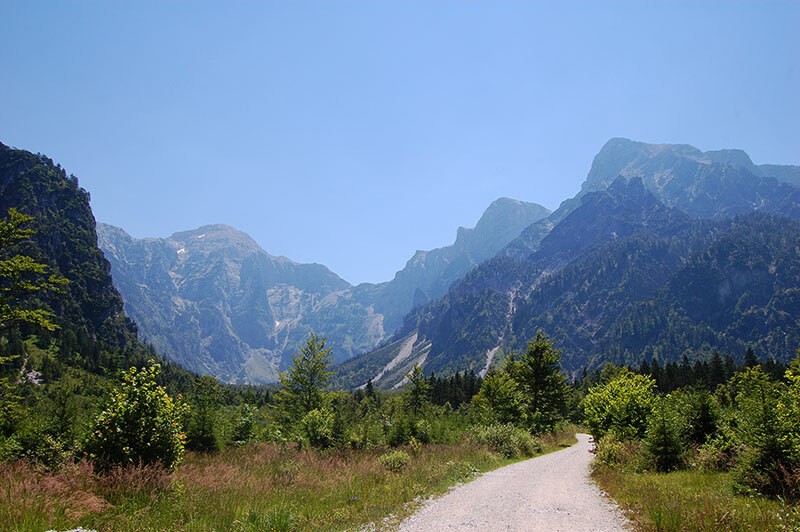 The limestone wall rising above the landscape are called Totes Gebirge (Dead Mountains) are almost up to 2500 metres high. The mountains have gotten their sinister name, not thanks to morbid occurrences, but because of the scanty vegetation. After relaxing at the lake for a while I went for a two-hour hike into the valley. 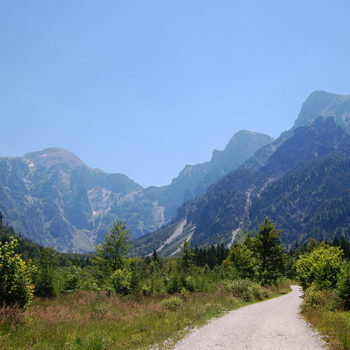 There are several marked trails, starting from the parking area, fanning out in the valley and into the surrounding mountains. 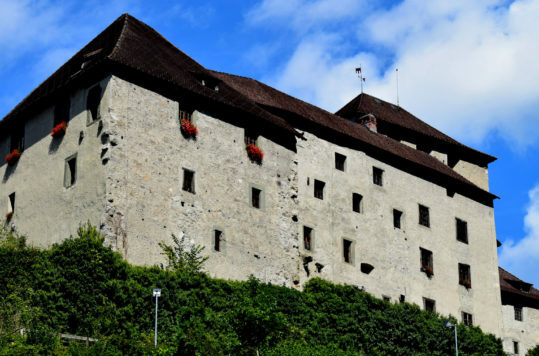 However, before you head out for a longer trek, pick up maps and info at the tourist office in Grünau village. The next time I will definitely bring mountain boots, some extra clothing and supplies for a longer hike up into the mountains. Furthermore, I met plenty of people on bikes as well. They told me that there are some nice easy rides along gravel roads in the valley, where the terrain is not too steep. 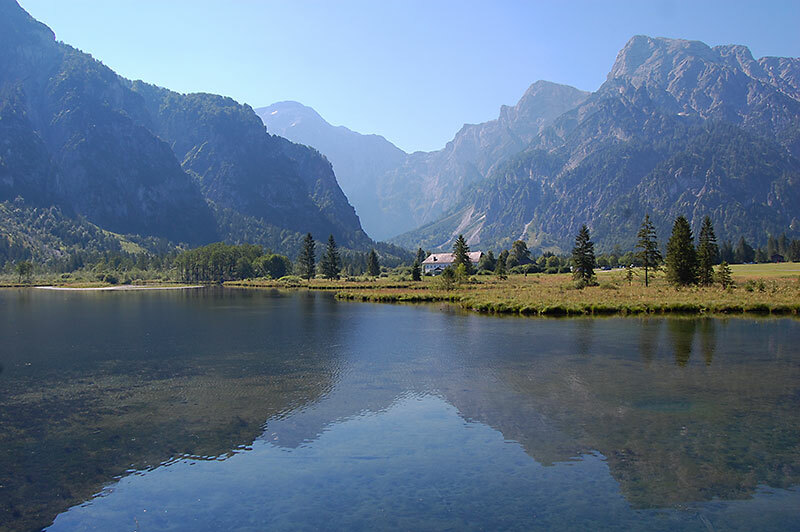 As my day trip ends, I am sure that I definitely will come back for more of the spectacular scenery around the Almsee and the Totes Gebirge. Biking or hiking? Well, that’s up to you. Next to the parking area there a sanitary facilities, a fast food / snack bar and a restaurant if you did not bring anything to eat or drink.